Drainage District number one, removes water from the area on Seminary Road on Saturday, Sept.15, 2018, in Edinburg. 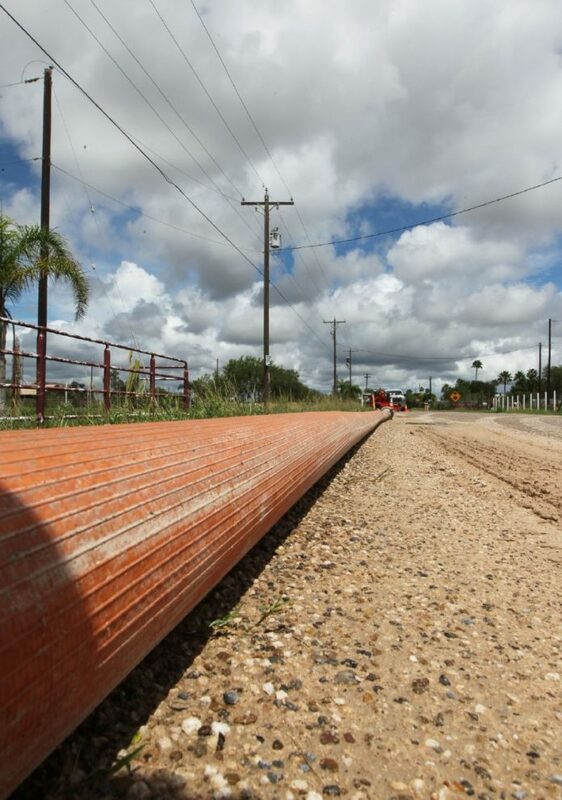 A political action committee created last week in support of the $190 million drainage bond election raked in a majority of its donations from engineering firms, including a few already working in Hidalgo County precincts. Because the drainage district was limited to educating residents on how it intends to use the bond money, supporters created Fight Valley Flooding Political Action Committee to fund advertising, according to Jorge Peña, the committee’s assistant treasurer, who works for Hidalgo County Precinct 1. Peña donated $1,500 and helped create the PAC on his own time, he said. The PAC received $23,000 in donations, including from firms contracted by Hidalgo County — Javier Hinojosa Engineering, Millennium Engineers Group, L&G Consulting Engineering and HALFF Associates. McAllen-based Javier Hinojosa Engineering made the heftiest contribution — $5,000. Other donors include $1,000 from John and Jeannette Womack and $3,500 from Aurora Alaniz Kopchev. AR Engineering also made a donation in the amount of $2,500, according to a campaign finance report filed by the committee on Oct. 30. The county commissioners, serving as Hidalgo County Drainage District No. 1 board of directors, in August called for the bond election to be held this November. “Anybody who knows drainage knows that our systems aren’t up to par,” said Peña, who also works part-time for South Point EMS, a company owned by his brother. The committee mimics what was done by the Fight Flooding Political Action Committee, based in Harris County and created to back the passage of a $2.5 billion bond there, according to Peña. Harris County’s bond passed in August, a year after Hurricane Harvey made landfall. The committee spent $3,947.01 at The Print Shop in Rio Grande City for advertising purposes, according to the campaign finance report. It also shelled out $3,500 to Facebook. The committee had testimonial videos produced of residents who flooded in June when heavy rainfall, comparable to the amount tabulated during Hurricane Beulah in 1967, inundated streets, schools and homes. The videos were shared on its Fight Valley Flooding Facebook page. The PAC also paid $3,500 to Jose Ayala with BPPH Media of Mission for advertising purposes and $450 to Elsa-based GeorJas Solutions for an event, according to the finance report. The bond election is being held Tuesday.